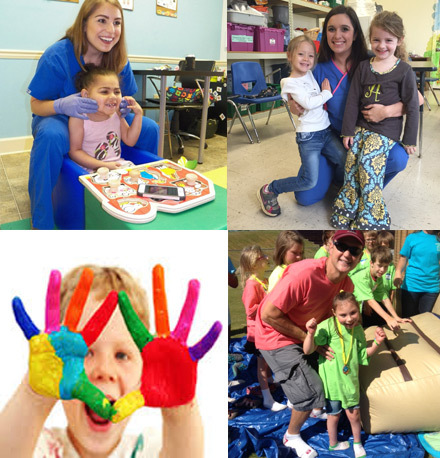 Helping Hands Therapy, having extensive background and experience with school based therapy, is a trusted resource for many school systems. We understand the unique due process requirements and state guidelines for school based therapeutic intervention. We value high accountability and maximum productivity of our therapists. Our school systems love our therapists. They are enthusiastic, creative, professional, kind, reliable and consistent. We work to pair the best speech, occupational and/or physical therapist(s) to meet the needs of each individual school system. We understand the importance of partnering with educational professionals to provide the best therapeutic services for your students. We offer our contracted school systems a Pediatric Therapy Team of experts. This team consists of a licensed therapists, caseload coordinator, scheduler, Client Relations Manager, Rehab Manager and a Business Manager.